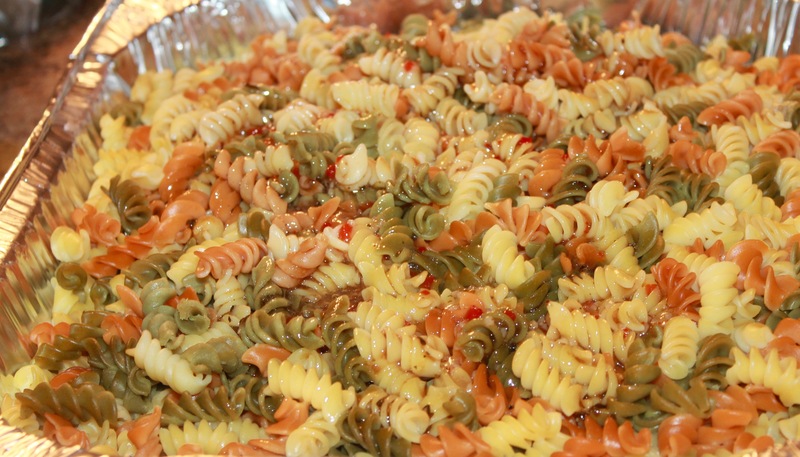 Pasta salad is an amazing dish to serve, it’s easy, fresh, and super simple. There are many reasons to enjoy this dish; it’s a very healthy and budget friendly recipe. This is one of my favorite dishes to make, because it’s a really colorful and fun. You can add as many different vegetables as you like. Personally, I always like to add broccoli, cucumbers, and cherry tomatoes. However, you can feel free to add anything your heart desires. 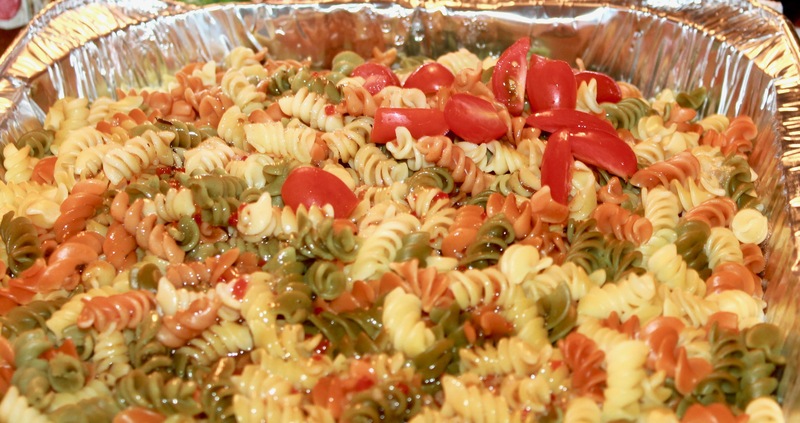 A pasta salad is perfect to serve for guests at your own party or if you’re invited to a potluck it will surely be a winner. I made this as one of my sides for my Christmas party, you can click here to read all about it. 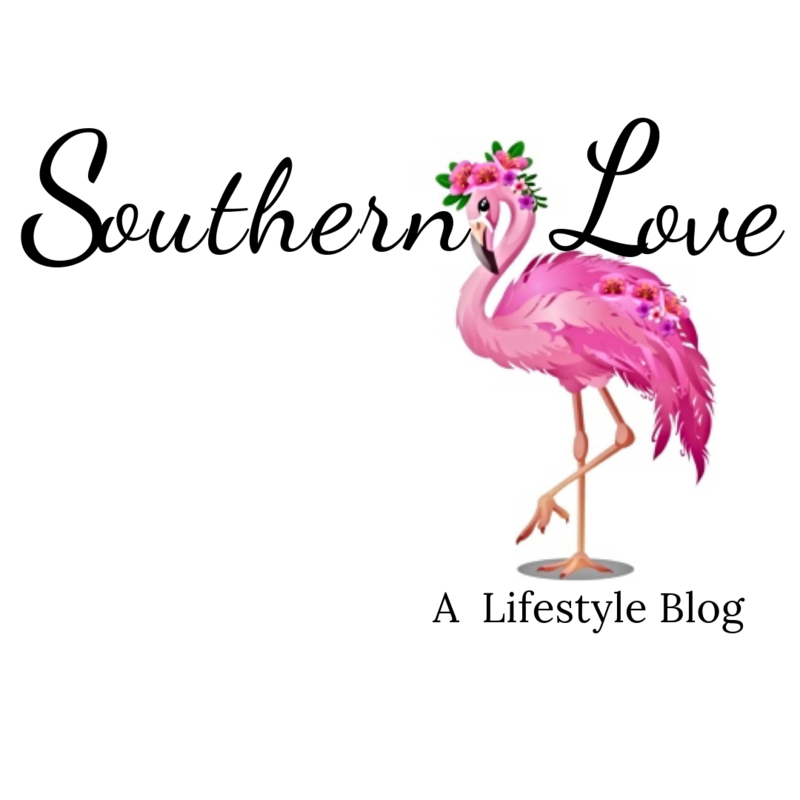 So keep reading for this delicious recipe and the colorful finished product. What Type of Pasta Do I Use? 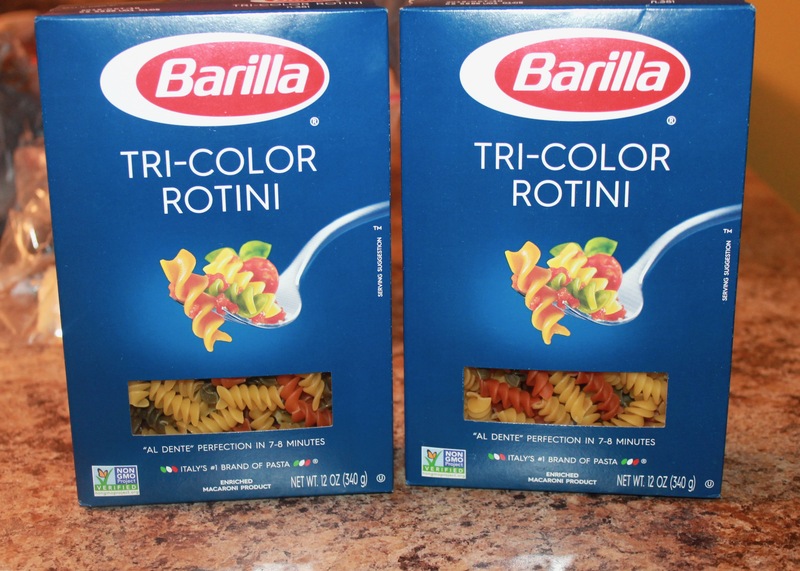 I personally like to use Tri-color rotini pasta, because I love to keep my pasta salad colorful. 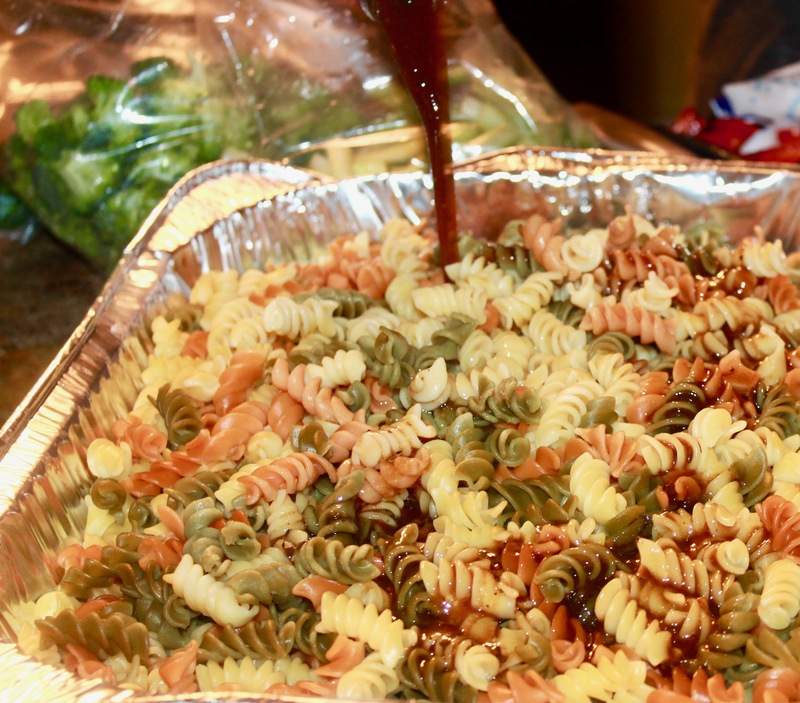 The rotini pasta also holds in the Italian dressing and the vinaigrette. The vinaigrette is used to ensure that the salad doesn’t dry out. No one likes a dry and sticky pasta salad. You will want to put your pasta in a large pot and wait for it to come to a boil. It should take about 10-15 minutes for your noodles to cook. Be sure to not to overcook your noodles. While you’re waiting for your pasta to boil, you can begin to cut your vegetables. As I stated earlier, I like to use broccoli, cucumbers, and cherry tomatoes. After your pasta finishes boiling pour it into a large pan or dish. 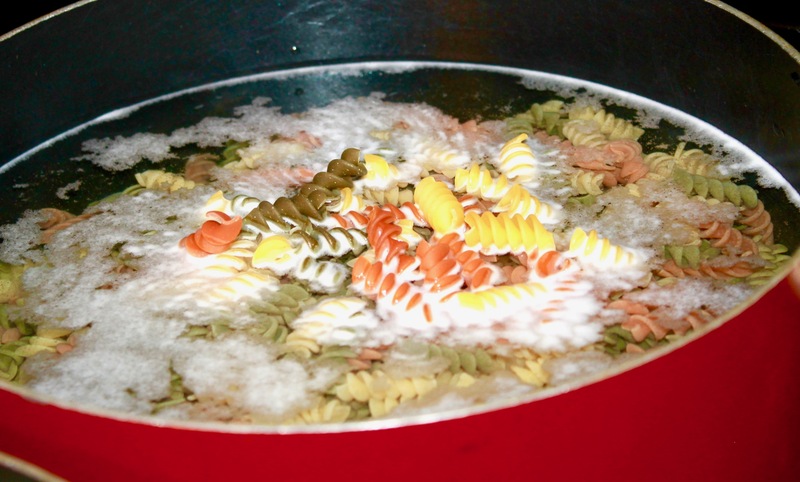 Allow your noodles to cool before you add your vegetables, because you don’t want to cook them in your pasta. After you have allowed your pasta to cool, you can begin to add your Balsamic Vinaigrette and Italian dressing. There is no set amount of vinaigrette and dressing to add, it all depends on you and your taste buds. Just remember to add enough to keep your pasta moist. Mix the dressing and vinaigrette into your pasta. 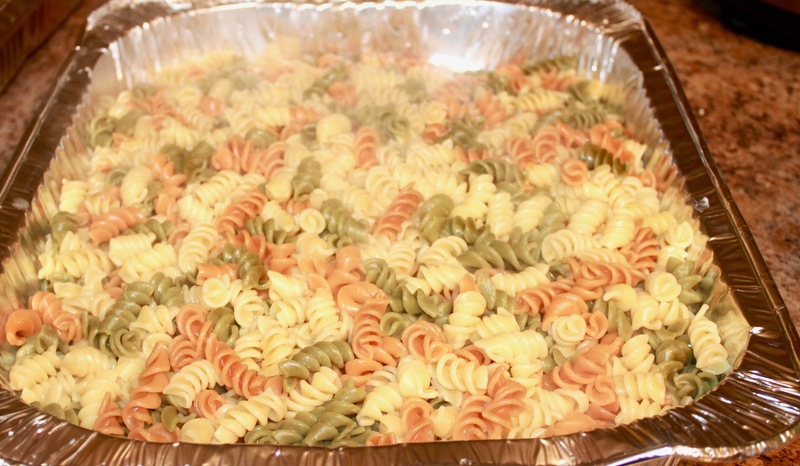 Then, allow your pasta to sit and marinate in the dressing before you add your vegetables. Pasta salad is one of those dishes that tastes better the longer it sits. Then you can begin to mix in your vegetables, into your pasta salad. Feel free to add more vinaigrette or dressing as needed for taste. 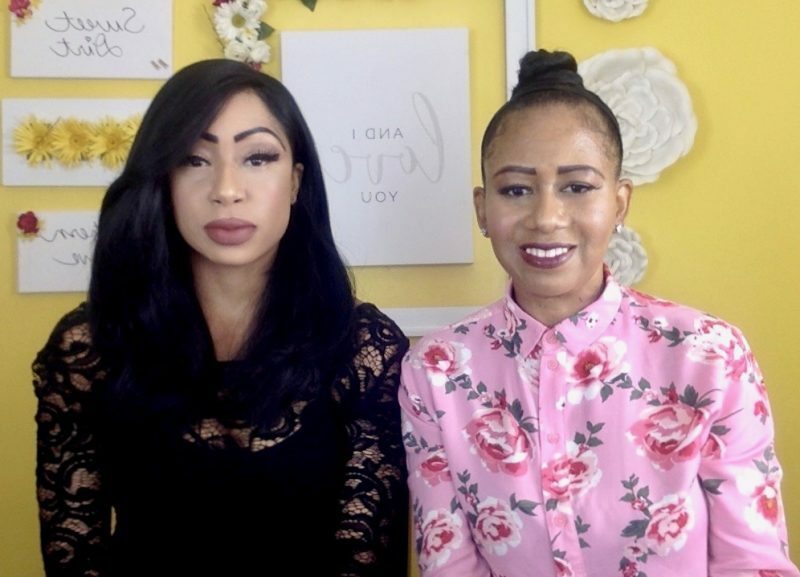 Feel free to let us know what you think the comments section!